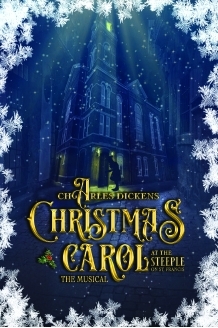 Eastern Shore Repertory Theatre (ESRT) announces A Christmas Carol, The Musical to be performed on December 1, 2018 at The Steeple on St. Francis, 251 St. Francis Street in Downtown Mobile. A Christmas Carol is a spectacular adaptation of Charles Dickens' most well-known story about Ebenezer Scrooge, a prosperous curmudgeon who believes that personal wealth is far more valuable than the happiness and comfort of others. With an infuriated "Bah! Humbug!" Scrooge summates his feelings of Christmas tidings and charitable giving, but he's forced to face his selfish ways when three ghosts on Christmas Eve lead him through his Past, Present and Future. Thanks to their guidance, Scrooge recognizes his faults and greets Christmas morning with a cheerful "Happy Christmas" before spending the day reconnecting and sharing love with those that mean the most to him.